Reggae Legend Chuck Fenda ‘Di Living Fire’ opened the 2015 Galiday Bounce in Jamaica, and delivered a high energy show, just as the fans expected him to! The crowd went maaaadddd!!!! 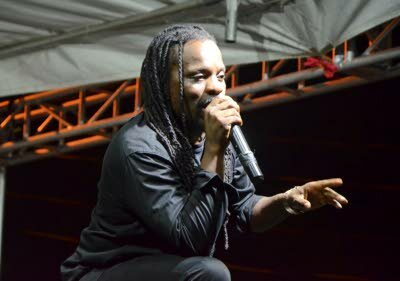 WITH its line-up of major acts and billed as one of the major dancehall events for the Yuletide season, Galiday Bounce lived up to expectations at the Ewarton Sports Complex in St Catherine on Monday night. Backed by Ruff Kutt band, Chuck Fenda was the first to ignite the venue with songs including Gash Dem, I Swear and Murderer. « Welcome To Manjago Vibrations!